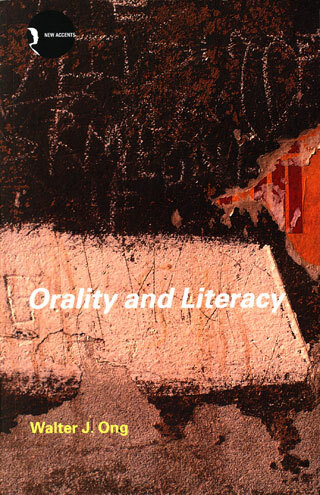 Walter Ong’s Orality and Literacy is something of a classic. It explores the changes in consciousness that have been wrought by the introduction of literacy and then print into human culture. The changes, according to Ong, have been momentous. As I read Ong, I kept having what I will call Ong-moments. These are moments when one of his observations or arguments appears immediately useful in making sense of some phenomenon or is otherwise existentially reinforced by a certain experience. In conversation with my wife a thought crystallizes; I quickly reach for something to write a quick summary of my thought before it evaporates, possibly never to be recaptured (31). How many thoughts and ideas are lost in oral cultures because there is no effective way of recording them? Just now, I switch out a second use of “immediately” in favor of “quickly” in order to avoid redundancy (40). Redundancy was an accepted feature of oral cultures because there were simply fewer available words. Oral cultures operate with a vocabulary of roughly a few thousand words, while written English features well over a million words. Redundancy also functioned as an aide to memory in the absence of writing. With each line I sense the agonizing quality of writing with no “real” audience (102). Oral discourse is always in the context of some real audience (notice how even the word audience is rooted in hearing). Writing is always for an absent audience (etymologically the word no longer works), and perhaps even an unknown audience. Furthermore, writing is deprived of all of the contextual aides to meaning provided by nonverbal communication and thus must develop an extreme precision to achieve clarity of meaning apart from these aides. While reading Orality and Literacy I was struck by the concept of secondary orality (11, 136-138). Secondary orality describes a return to orality brought about primarily by the advent of radio and television. Because I am a teacher, my first thoughts turned to the question of how useful this category may be for understanding or contextualizing much of what teachers struggle against in their classrooms — shrinking vocabularies, choppy grammar, a seeming inability to reason through a problem, agonistic relationships, difficulty expressing thoughts and emotions, and the struggle to sustain attention, to name just a few. At some level, these seem to be characteristics of secondary orality. They are not necessarily the result of some innate deficiency in the students, nor are they necessarily the manifestations of laziness or apathy; rather they are the marks of those who have been shaped more by secondary orality than by print literacy. Too many of my students unashamedly report never having read a book. They read other sorts of texts, but many are not at all familiar with the experience of sustained, solitary, silent reading. On a slightly different but related note, if privacy is a concept or habit that flows out of a print culture and the isolation of private reading (among other factors), then does the distinction between the private and public necessarily evaporate in a society that has transitioned into secondary orality (130-131)? Is secondary orality behind the transition from diaries kept under lock and key to blogs published for the world to read? Critics point to blogs and social networking sites as products of narcissistic and self-absorbed selves. Perhaps so, but are they also features of selves no longer operating with the private/public categories fostered by print literacy? You can read more about Ong at the Walter J. Ong Archive maintained by St. Louis University where Ong taught for over 3o years.